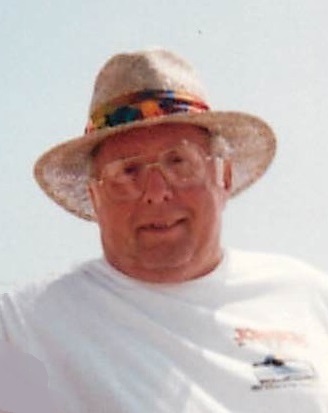 Carroll K. “Snooks” Ferrell, 77, passed away at his home in Wilson after a lengthy illness of Alzheimer’s. The visitation will be Saturday, 11:00 - 12:30, at Wilson Memorial Service. Before retiring he drove trucks for years for Sea Hawk Boats and Rudy’s Truck and Trailer in Bailey. Snooks traveled all over the US and was able to enjoy this beautiful country. Snooks was an outgoing person who loved to laugh. He never met a stranger and will truly be missed. He was proceeded in death by his mother, Grace Ferrell of Bailey. Snooks leaves behind to cherish his memory his loving wife of 25 years, Susan Owens Ferrell and his furry babies, Midnight and Gizmo and a host of family and friends. A special thanks to Dennis Moore, a lifelong friend who kept Snooks laughing and helped out in any way that he could; Hospice of Wilson for providing great care and support; Yvonne Spencer and family who gave such loving care and support; dear friends Teresa, Clay, Kathy, Kim, Morgan, Barbara B. and Beverly for your constant love and support and to Don and Glenyce Pridgen for being special neighbors. Thank You to everyone that played a special part in Snooks life. “I came through this life once and enjoyed every minute”, Snooks. In lieu of flowers, memorials may be made to the charity of one’s choice.